Give the gift that everyone wants, the gift of time! These gift cards are good for use on a First Time Deluxe or General cleaning. Gift Cards do not display a price on them. *minimum of $100. You must book a minimum of 3 hours when booking a cleaning. This Gift Card is only good for Deluxe or General cleanings and can not be used for Maintenance or Hourly cleanings. Amount purchased goes towards a First Time Deluxe or General cleaning with any additional amount due charged after the cleaning (no discounts will be given on the additional amount due). Any overage on gift cards can be used on a single maintenance cleaning or another Deluxe or General Cleaning. Gift cards expire 5 years after purchase date (unless prohibited by law). Gift Cards are not redeemable for cash and are not refundable. You can use this gift for $250 off any cleaning! *You must book a minimum of 3 hours when booking a cleaning. Amount purchased goes towards a cleaning with any additional amount due charged after the cleaning (no discounts will be given on the additional amount due). Any overage on gift cards can be used on another cleaning. Gift cards expire 5 years after purchase date (unless prohibited by law). Gift Cards are not redeemable for cash and are not refundable. Choose any amount you want to gift! At checkout, you can choose whatever occasion you want. Amount will be displayed on the card. *minimum of $100. You must book a minimum of 3 hours when booking a cleaning. Amount purchased goes towards a cleaning with any additional amount due charged after the cleaning (no discounts will be given on the additional amount due). Any overage on gift cards can be used on another cleaning. Gift cards expire 5 years after purchase date (unless prohibited by law). Gift Cards are not redeemable for cash and are not refundable. If you don’t need a whole house cleaned and just want 3 hours, this is the perfect gift for you! Gift Cards do not display a price on them. You can choose what type of card you want at checkout. *3 man hours of cleaning. You must book a minimum of 3 hours when booking a cleaning. 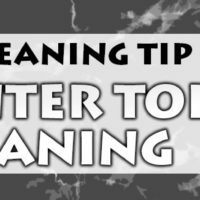 Amount purchased goes towards a cleaning with any additional amount due charged after the cleaning (no discounts will be given on the additional amount due). Any overage on gift cards can be used on another cleaning. Gift cards expire 5 years after purchase date (unless prohibited by law). Gift Cards are not redeemable for cash and are not refundable.